Back on Sunday I said this race was not my favorite. You know how after a few days things start to grow on you, and your memory of events fade, and suddenly everything you can remember was awesome? Yeah- that didn’t happen here. I still don’t think it’s my favorite, BUT, I do think I want to try it again next year. I know. You are SHOCKED. I just can’t be in Disney World without being at the parks. It’s physically impossible for me to pass up my favorite places in all the world so up and out the door we went bright and early! We headed to Hollywood Studios where we rode a few rides and then went to Epcot for lunch. 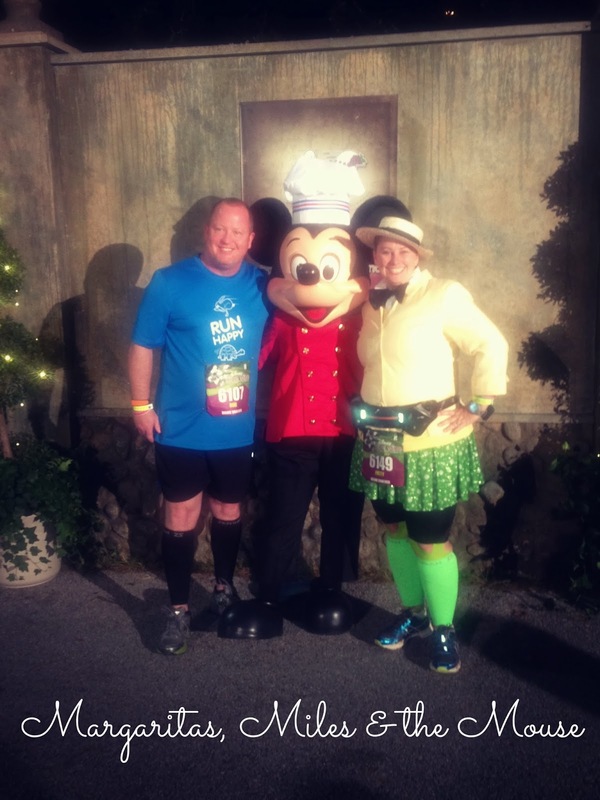 We fueled pre-race with a lovely meal at Le Cellier and I thought we made a good choice. Some protein, some veggies, some risotto, some cheese soup and bread… it was more than enough to fuel me for the nap I was desperately needing! And nap I did. That was the easy choice and one that probably saved my race. Mr. Shenanigans and I set an alarm and were out for the count by 2pm. I love margaritas y’all, but I might love naps even more. At 6pm we started getting dressed and ready to transport out to the corrals. It was a heck of a lot warmer than I hoped and I knew my costume was adorable, but not functional, for this race. I wore it anyway. 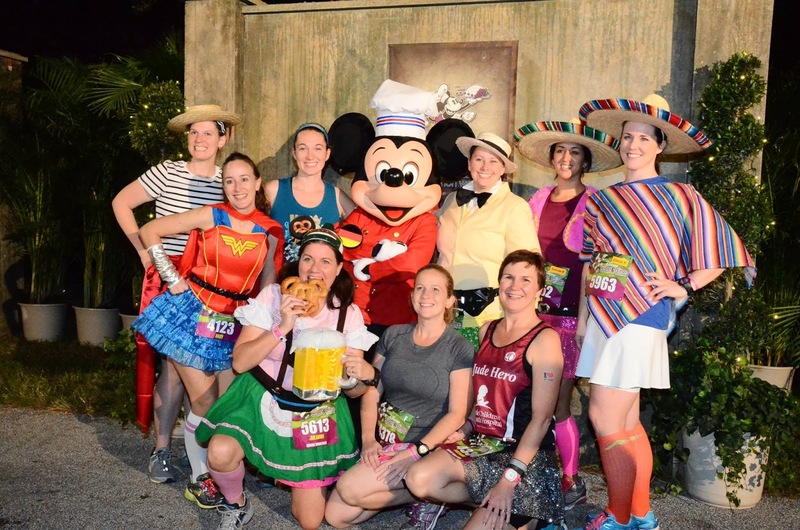 If I can’t PR at a runDisney race in time, I certainly can PR with looking good in a costume! All the DisBroads dressed up and we met for the ride out to the staging area. I have no complaints about this part of the race. We were out in a field at the Wide World of Sports complex, which was nicer to stand around on for a couple of hours than the asphalt you find at Princess Half Marathon. My legs and feet thank you runDisney! The buses ran smoothly and we didn’t have to road march a mile to get to the bag check and staging areas, and then another mile to get to the corrals themselves. Score one BIG for the Wine and Dine over Donald and Princess. We stood in a very long line for a Chef Mickey picture and it was more than worth it! Mickey knew who I was right away (Jose from the Three Caballeros in case you are confused!) and seemed to love it. When it was time to get into our corrals, we took a quick left out of the gates and boom- we were there. This is such an improvement over Princess. We made our way toward the front of Corral H. We only had about an hour to wait in the corral area and it went quickly. Rudy and Carissa sent us off in grand style as always! From the start- and I’m talking, the VERY start- I knew I was in trouble. I peeled off the costume by mile .25 and tried to settle into my intervals. The first mile was ok. The second was ok. But somewhere between three and four, I was over it. Part of this was the course. You spend about 4 miles heading over to Animal Kingdom and I believe we saw two sets of characters in that time. I need more! It was dark and there wasn’t anything to distract me. Mr. Shenanigans was a trooper- he and Julie did their best to get my head into the proper mode, but Shenanigans wasn’t having it. I briefly perked up when I heard this guy come up behind us. 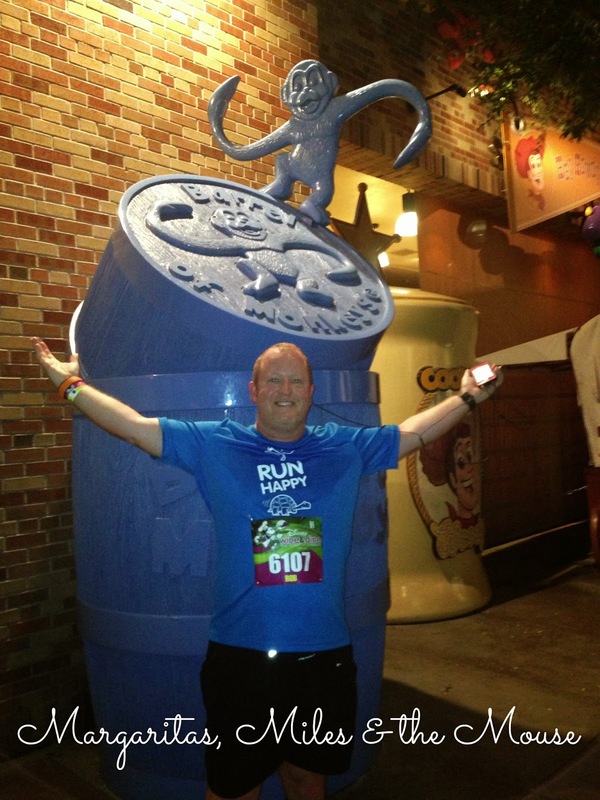 I so wanted to hang with the Awesome Larry, but alas, my pace was much slower than his 2:59:59 goal. If you EVER get a chance to meet Larry and run with him, I highly recommend it. 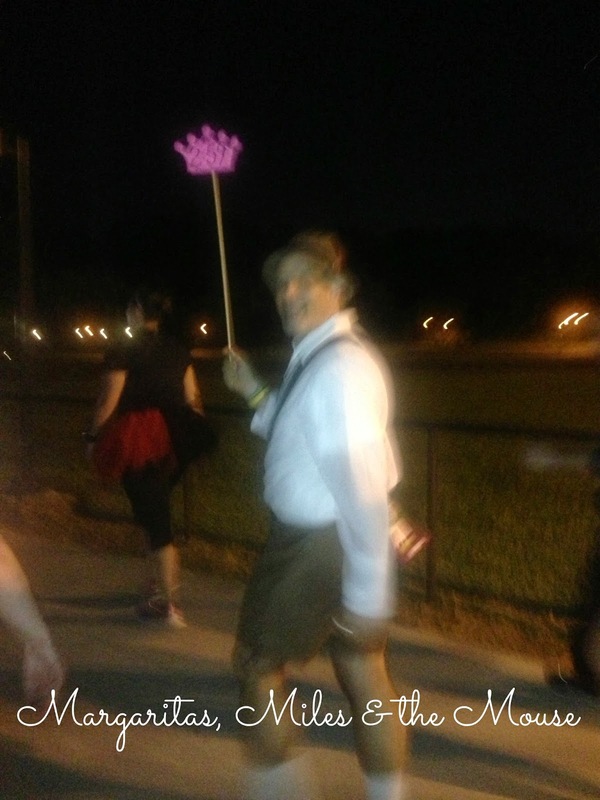 He’s a fabulous man and had the whole crowd cracking up with his Animal Kingdom trivia as we entered the park. Not a huge fan. As this is my least favorite park of ALL Disney parks, I wasn’t surprised to find that running through it did not appeal to me. There were quite a few characters posted here so this was a good thing (but since I was over this race I didn’t bother to stop.) 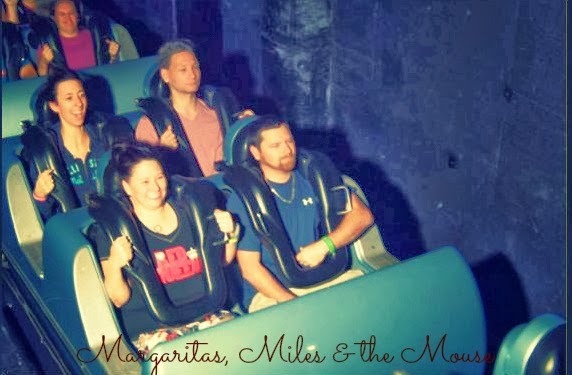 The problems with Animal Kingdom for me: it was too dark, it was too crowded, and it was too hilly. I know, I know, my Garmin says otherwise and normal runners will agree: hills? Woman you crazy! These aren’t hills! I know. Really I do. But I don’t like them- whatever they are. It was the low part of the race for me. 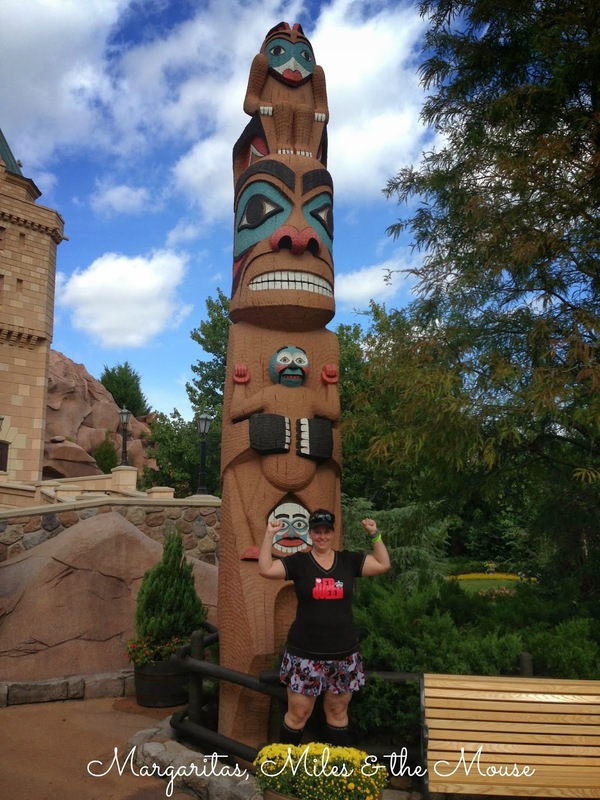 Wait- no- exiting Animal Kingdom was the low part of the race for me. We were greeted to a lovely tour of the parking lot! And man, Animal Kingdom has a HUGE parking lot y’all. At this point Julie went ahead of us. She was walking faster than my run intervals so it made sense for her to just go on. Laters, J! Mr. Shenanigans stayed by my side and yep- that’s a GOOD man right there. Cause I was whining and sad faced and just not into this race at all. This was the point that I popped in the headphones, cranked up the tunes, and just tried to zone out. Ugh. NO. That was just not happening. So we motored on. Sarge was waiting for us at the top of the hill and encouraged us to get moving, soldiers! So we did. I think seeing the entrance to Hollywood Studios flipped a switch in my brain: YES YES YES. This was the part I wanted to see- this was the whole reason I wanted to do this race. Our pace picked up, my spirits picked up, and my camera finally got some use! This was the best part of the race- no question. 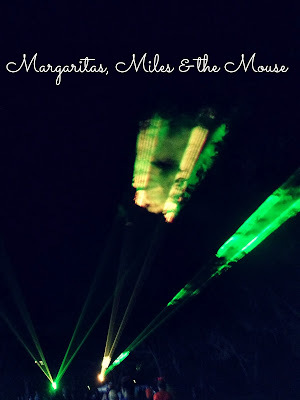 Packed full of entertainment: tons of fun characters, fantastic DJ under the Sorcerer’s Hat, and a total circuit through the park. And I do mean the full circuit- even the parking garage out back and the trash areas were toured. Ewww. But I forgive that part of the course as it just made me run a wee bit faster! The Disco Tunnel, as it has been dubbed, made me super happy. I don’t know if this was new to the course, but it sure was fun! My whole race turned around thanks to this one small section of the course. Disco LIVES y’all! 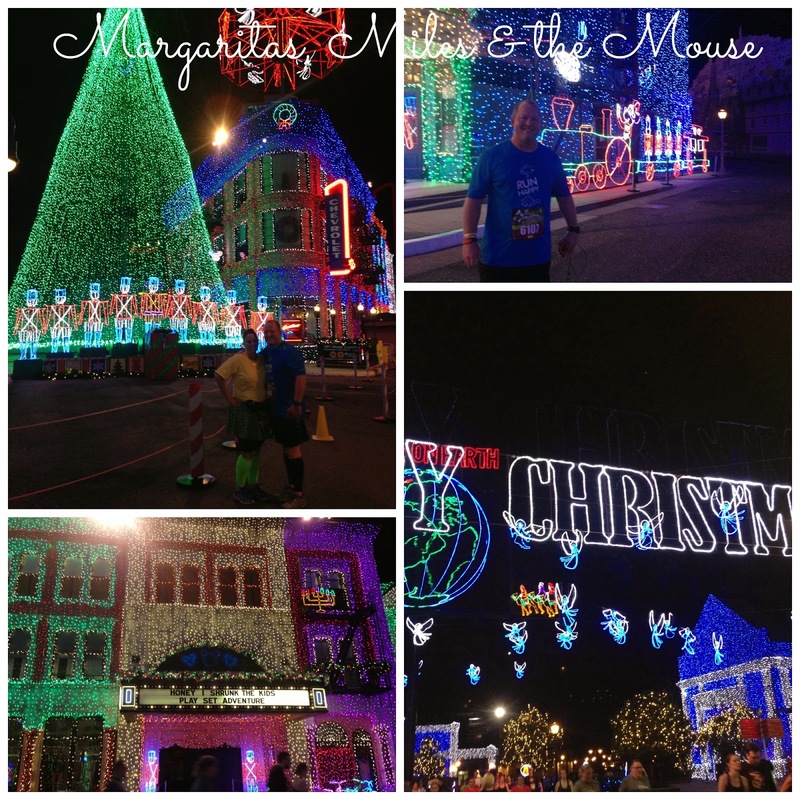 The Osborne Family Spectacle of Dancing Lights- just breathtaking. We spent a lot of time standing around here, taking pictures, and soaking it all in. I hear the rumor this will be moved or possibly going away all together. So. Yeah. That’s going to be a HUGE let down for anyone who runs this race. I ran it for the lights! I really hope Disney finds a way to keep them because they are AMAZING. I jumped for joy when we rounded the corner at Star Tours to see Darth Vader. AND Boba Fett. Fist Pump! When we left DHS we traveled through the Boardwalk area (and had lots of fantastic spectators still hanging around for us caboose runners!) and into Epcot. 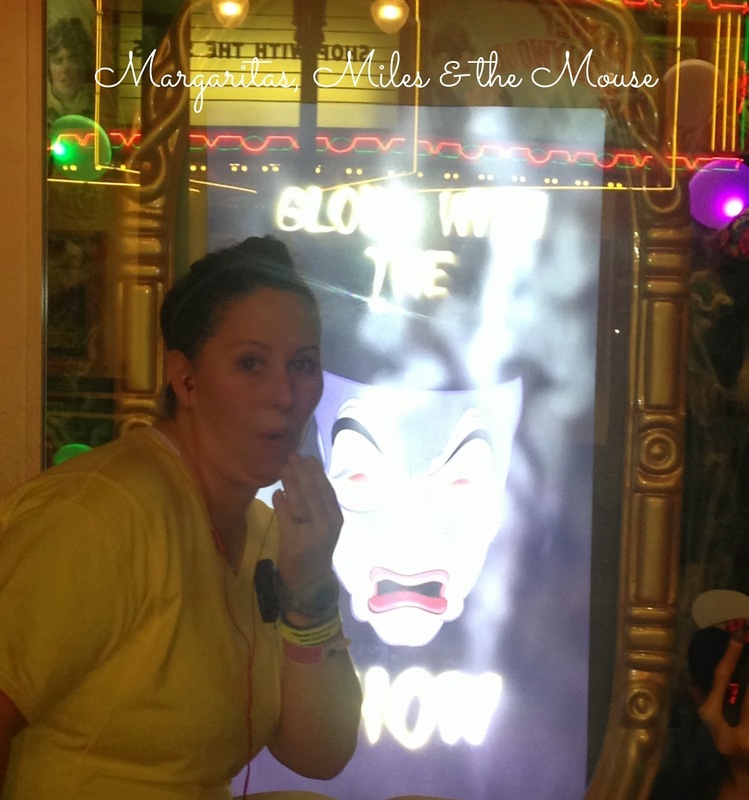 The Boardwalk was another highlight for me as I love these resorts! We ran into quite a few of my online running club friends and I loved chatting with them. The big negative is that it’s really quite tight here. Luckily we were thinned out by the time we raced through but I suspect others in earlier corrals were bottle-necked here. 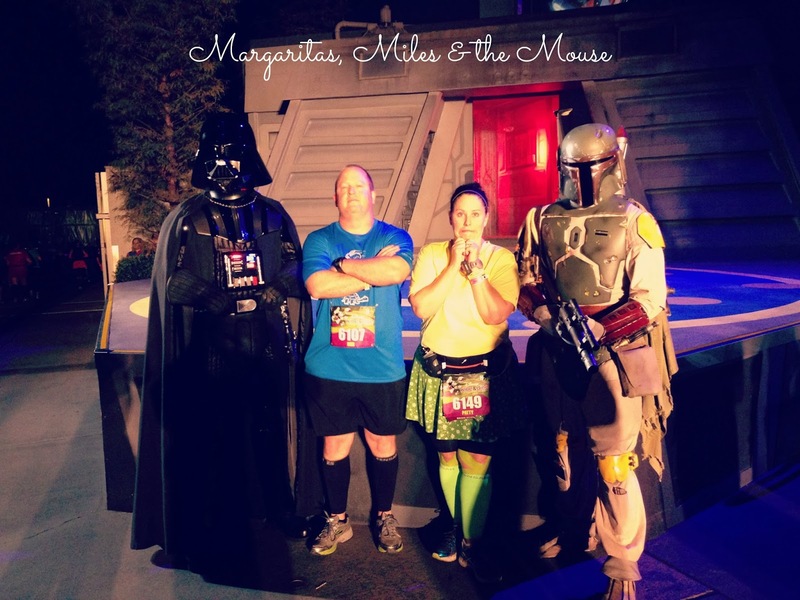 We ran through Epcot and the party was in full swing. I quickly assessed that I didn’t want anything to do with the after party. It looked pretty crowded. The party goers had to cross the course to get to the good stuff (ahem, Mexico and other counties with booze!) and this looked like a big snafu as I went by. People were lined up at least 20 deep waiting for the chance to move across the course to get to the party. No bueno. I also noticed the womens bathroom had a line out the door of ladies hoping to score a stall to change. I’d suggest NOT going into the first bathrooms at Epcot if you wish to change. The end of the race had a changing room (yeah- you had to give up some modesty but hey, you probably won’t see these peeps again, so who cares?) but that was preferable to taking a much needed potty away from someone in my book. 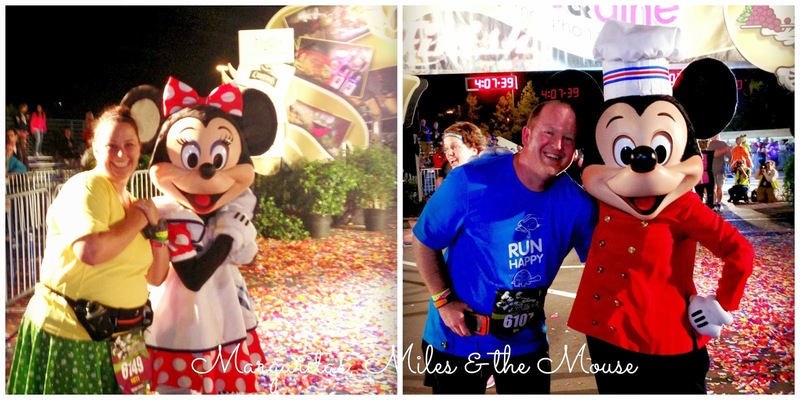 I loved the finish line, loved the medal, and loved the changing room set up. I wish they offered changing rooms at all the races as I am someone who just wants to get into clean stuff ASAP after a race. We had lasers at the finish- hellllooooo- what’s not to love about lasers? I stand by my first assessment. This race is NOT my favorite one. But I think it was more me than it was the race itself. I’m not a night runner. I am not really a night person at all. I much prefer getting up at 3am to run than trying to work a schedule to make 10pm happen. I was exhausted by the end of the race and had no interest in the zoo happening over in Epcot- I sent Mr. Shenanigans on ahead of me and he had a blast however. The course was tougher than I expected. More “hills” and certainly more banked and slanted areas to cover. This really did a number on my IT Band and I was not a happy camper until I hit the med tent around mile 8. By the way- they only give you ONE measly Tylenol. One. Mr. S said my face said it all- a clear WTF moment as she tried to send me on my way with ONE Tylenol. So pack your own meds if you think you might have any need for pain relief. I’ll really be bummed if the lights go away. That might make me reconsider this race for the future. They were THAT cool y’all. I’d do some things differently. Probably including not flying in until Friday night or Saturday morning. I think I had too much park time under my feet pre-race. And I just can’t say no to the parks. I’m addicted to the Magic, what can I say?! I’ll also make sure I eat an actual meal before the race. I had a Hammer bar and a banana, but I suspect it wasn’t enough. I loved the characters and I REALLY love this medal! How was your Wine and Dine experience? Any thoughts on how I can improve my race next year? Besides the obvious of training better and not drinking the night before… I got that part. HA!